The Foundation hosted executives from more than 30 leading technology firms at one of California’s premier golf venues, Hacienda Golf Club. 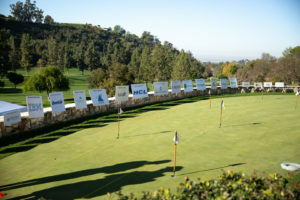 The tournament enjoyed a sizeable turnout and was followed by a gala reception where attendees learned more about the Foundation and its growing platform. HCL, TCS, Unisys, Luxoft, NTT DATA, Infinite, Cognizant, Infosys, CSS Corp, Capgemini, IBM, Hexaware, Zensar, Flexential, Ingram Micro, Mphasis, SAIC, Hitachi Vantara, Orange Business Services, and IAOP. Avasant is a leading management consulting firm focused on translating the power of technology into realizable business strategies for the world’s largest corporations. Specializing in digital and IT transformation, sourcing advisory, global strategy, and governance services, Avasant prides itself on delivering high-value engagements through industry-focused innovation and flexible client-based solutions. Our seasoned professionals have an average of 20 years of industry-honed expertise, having conducted 1000+ engagements in over 50 countries. Avasant’s next generation consulting and advisory methods have made it the top-ranked firm in its class, with recognition from numerous organizations, including: Vault, NOA, IAOP, and Wall Street Journal. Avasant’s engagement in the global market has inspired a strong commitment to community and purpose. Avasant Foundation supports technology and skill development programs to create employment opportunities for youth across Africa, Asia, the Caribbean and Latin America.